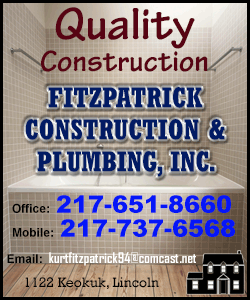 (Reuters) - A pro-business group unveiled two billboards targeting Democratic congresswomen Alexandria Ocasio-Cortez in New York City on Tuesday, criticizing her proposal for a "Green New Deal" aimed at building a renewable energy economy. 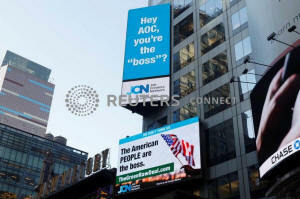 The digital billboards on the side of a skyscraper in Manhattan's Times Square are the latest broadside against the 29-year-old liberal known as "AOC," by the Job Creators Network, founded by billionaire Bernard Marcus, a former chief executive of Home Depot Inc.
Ocasio-Cortez had opposed Amazon.com Inc's plan to create a major New York outpost with nearly $3 billion in city and state incentives. When the company last month scrapped plans to build in New York, she called it a big victory for progressive politicians. "Hey AOC, you're the 'boss'?" read one billboard. "WE DON'T THINK SO. The American PEOPLE are the boss," said the other sign, with a link to a website critical of the "Green New Deal." The group has called the "Green New Deal" an unrealistic and potentially ruinous plan for the U.S. economy that would require massive government spending. Last month, Ocasio-Cortez said in a message on Twitter that the billboard campaign demonstrated that her fight against "dark money & anti-worker policies" was gaining traction.